Ray and Val Green have every right to be supremely proud of the work they have put into making Milton Pools a real jewel for anglers. Established just over 60 years ago, Milton Pools is one of those little known jewels of the angling world. Set in a delightful location, there are seven pools which offer everything from tranquil pleasure fishing for roach to 3lb and perch to 4lb, to specimen hunting for double figure tench, pike up to 30lb and carp to 43lb-plus. Catfish were introduced into the Specimen Lake in December 2007. As well as round-the-clock angling, the fishery also offers toilets with washing facilities and a floodlit car park with CCTV. Also there is a cafe offering hot food, snacks and confectionery, which is open at weekends, bank holidays and at sometimes during the week, between March and October/November. In addition, owners Ray & Val Green – who took over the fishery in September 2002 – now offer a fully-equipped tackle shop, including a wide range of baits. 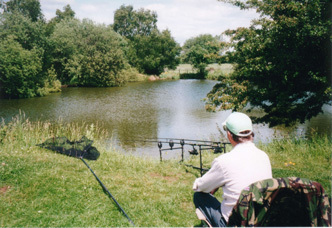 Most of the pegs are suitable for disabled anglers, with car access to many of them. 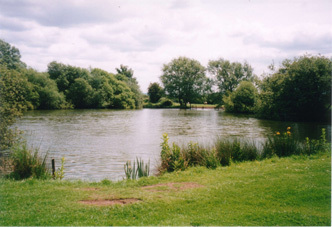 Since taking over, Ray has put a great deal of time and effort into improving the venue, clearing and tidying the site in general, removing old dead trees which had fallen into the pools, maintaining the banks to make them more attractive and transferring bigger fish from stock ponds to the main pools to give them scope to grow on. In everything he has done, Ray has placed the emphasis on developing a quality fishery where anglers can feel at home catching healthy fish. He has ensured the pegs are well spaced so there is plenty of room and, as a result, the waters are not over fished. Future plans to develop the fishery will be aimed at improving facilities for anglers whilst maintaining the rural character of the pools and the health of the fish. Plans include new-for-2008 Swedish-style chalets for rental (single and double will be available), which are thermal insulated, allowing fisherman to fish all year round in comfort. Night fishing is allowed, although anglers are advised to telephone in advance – especially if they want to fish the Specimen Lake. Adult day ticket: £10 (two rods); £6 (one rod). Children under 16 £5 for one rod, full price Sundays and Bank Holidays. The largest of the Milton Pools waters at just over three aces in size, Specimen Lake holds 18 pegs. Incorporating plenty of features including two islands, the lake has been planted with a central bed of lilies to add further attraction. As on the other lakes, the pegs have been numbered so anglers wishing to fish overnight/24 hours-plus, may book in advance and stipulate which pegs they want to fish. Stock within the Specimen Lake range from carp to 43lb plus and pike up to 30lb, to catfish, roach, perch and double figure tench. If you are going for the roach, tench or perch, float fishing usually proves best with maggots, worm, luncheon meat and sweetcorn being the most favoured baits, whilst those fishing for the big carp tend to use boilies. Ray has ensured in the stocking of the Specimen Lake that large carp have been introduced and it has a very good number of 20-30lb carp, mid thirties and a few fish ranging to 40lb plus. The introduction of the catfish in December 2007 will, we think, entice the carp to feed on a more regular basis. 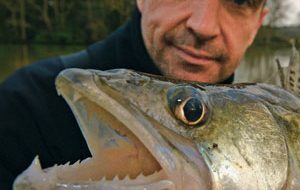 have been introduced into the Specimen Lake and it is ideal for fishing during our ‘Pike Fishing Season’, which runs from October to the end of March. Stocked with carp up to 22lb, golden and green tench up to 6lb, bream up to 11lb, crucian carp, ghost carp, carp/Koi, roach, large perch, golden orfe and golden rudd, House Lake is Milton Pools’ general coarse fishing water. Covering about one-and-a-half acres, it offers 10 well-spaced pegs. Unlike the Kidney Lake, there is no shelf around the fringes with the banks dropping straight down to the 4’6” to 5’ maximum depth. Pole, waggler and traditional and modern carp fishing techniques all work well, with best baits tending to be boilies for the carp, maggots for the smaller carp, roach and tench, and sweetcorn and luncheon meat for the bigger tench. Float-fished bread can prove particularly effective in warmer weather when other baits may leave anglers struggling. This is the shallowest of the Milton Pools waters at only four feet deep and is a good water for both novice and experienced general coarse anglers. Stock includes carp up to 12lb, bream up to 7lb, crucian carp, golden tench, green tench, chub, roach, perch, koi, rudd, golden rudd and goldfish. Anglers setting out for the tench tend to float fish sweetcorn, luncheon meat, worms or maggots. The smallest of the seven Milton Pools lakes, Kidney Lake is half an acre in size with a total of ten pegs and holds a nice mix of carp up to 8lb, bream up to 2½lb, crucian carp, rudd, green tench, golden tench, roach, perch, chub, golden orfe, goldfish and black goldfish. A pretty little water with plenty of features, it is ideal for pleasure fishing, particularly for younger or inexperienced anglers because it is easy to catch. 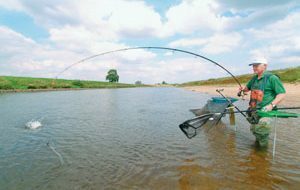 Averaging four-and-a-half to five feet deep, the pool has a shelf which runs about a rod length out and about two-foot-six inches deep, making it ideal for fishing close in either with the pole or waggler. Being a general coarse lake, most regular baits work well, particularly maggots, sweetcorn and worm, floatfished just off the bottom. No legering is allowed and this is typically a float water. Fully established in 2007, Campbell’s Match Lake holds 15 pegs (many decked) and is available for private matches only. Please telephone for further details. Campbell’s Match Lake’s stock includes carp up to 11lb, ghost carp up to 8lb, bream up to 4lb, golden rudd, green tench, Koi, roach, chub, goldfish, black goldfish and crucian carp. Situated by the car park, this lake has been designed for non-anglers and families who are interested in teaching their children to fish and catch the smaller species of fish and to learn how to handle and unhook the fish correctly. This lake is used as a general stock lake, with specimen size Chagoi Koi, including coloured Koi Carp, golden tench and golden orfe. This lake is occasionally used by regular anglers, when the fishery is exceptionally busy. We are able to arrange fishing tuition with Jason Wyatt. Please enquire for further details. Day tickets: Adults £6 for one rod and £10 for two rods. Juniors (Under 16) £5 (one rod only and full price on Sundays and Bank Holidays). Night tickets are available (12 hours) at £12 for two rods, and 24-hour tickets are £20 for two rods. Tickets must be bought from the shop or bungalow prior to fishing. Directions: Milton Pools is a stone’s throw from the M40 motorway. Exit Junction 7 (there is no Junction 7 southbound) signed Thame and Wallingford. Take the A329 for Wallingford and Stadhampton, the entrance to Milton Pools is about 50 yards on the left. Follow the road until you come to the fishery car park.